Formerly known as the Orlando Airport Marriott, the property renamed itself on January 1, 2015 to the Orlando Airport Marriott Lakeside to better reflect its expanded outdoor amenities. ORLANDO, FL--(Marketwired - Jan 5, 2015) - Much has been made of what's in a name, but the Orlando Airport Marriott Lakeside knows first-hand just how important a moniker can be. Formerly known as the Orlando Airport Marriott, the property renamed itself on January 1, 2015 to better reflect its expanded amenities. And the changes are ushering in a new era of service -- and possibilities -- among Orlando airport hotels. 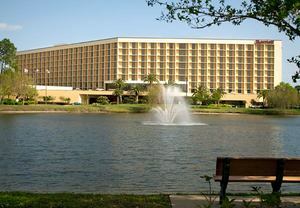 Visitors to the Orlando Airport Marriott Lakeside have long appreciated the hotel's free shuttle service to the airport, well-appointed rooms and nearly 30,000 square feet of event space. Now, however, there's even more to love, especially for outdoor aficionados. In keeping with the most accommodating hotels in Orlando, Florida, the property has expanded its amenities to include bikes, picnic space, fishing gear and a running/walking trail for visitors who want to make the most of the Florida sunshine. New lakeside Adirondack chairs, hammocks, fire pits, outdoor, ping pong and foosball tables accommodate those looking to relax under the sun. In addition to capitalizing on the hotel's lakeside location, the new amenities speak to the lifestyle guests enjoy while on property. A resort-style, indoor-outdoor pool and fitness center encourage visitors to relax as much as the full-service business center and enhanced high-speed Internet access accommodate business travelers' need for productivity. The hotel, in other words, wants visitors to savor their stay, whether it's work or pleasure that brings them to Florida. One of the best ways to do this, of course, is by visiting Crimson Tavern. Easily one of the best restaurants by the Orlando airport, Crimson Tavern embraces a farm-to-table philosophy with seasonal ingredients, regional charcuterie, local partnerships and a 2,500-square-foot garden that the chefs visit daily. Guests reap the full benefits of this multifaceted culinary enterprise in the menu's exciting selection of small plates and handcrafted entrees. From dining to biking, tasting to fishing, the Orlando Airport Marriott Lakeside has embraced its geographical advantage in a diversity of ways. And the first hint of what's possible appears in none other than its new name. 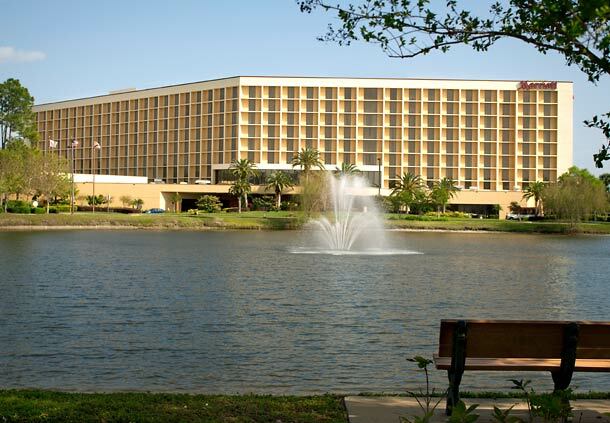 Located just one mile away from the Orlando International Airport, the Orlando Airport Marriott Lakeside extends a warm welcome to both business and leisure travelers. Visitors enjoy 485 stylish guest rooms with plush bedding, 42-inch flat-screen televisions and soundproof, floor-to-ceiling windows. Four restaurants, including the seasonally-inspired American fare of Crimson Tavern, ensure travelers stay fueled for whatever the day brings, whether it's business within the 29,700 square feet of meeting space, or sightseeing at the nearby Disney World, SeaWorld or the new Amway Arena. And with free shuttle service to the airport, this Orlando hotel ensures even traveling feels like a vacation.